Researchers studying a period of high carbon dioxide levels and warm climate several million years ago have concluded that slow changes such as melting ice sheets amplified the initial warming caused by greenhouse gases. The study, published in the journal Nature Geoscience, found that a relatively small rise in atmospheric carbon dioxide levels was associated with substantial global warming about 4.5 million years ago during the early Pliocene. 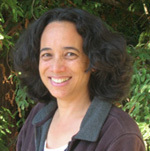 Coauthor Christina Ravelo, professor of ocean sciences at the University of California, Santa Cruz, said the study indicates that the sensitivity of Earth's temperature to increases in carbon dioxide in the atmosphere is greater than has been expected on the basis of climate models that only include rapid responses. Carbon dioxide and other greenhouse gases trap heat in the atmosphere, leading to increased atmospheric and sea-surface temperatures. Relatively rapid feedbacks include changes in atmospheric water vapor, clouds, and sea ice. These short-term changes probably set in motion long-term changes in other factors--such as the extent of continental ice sheets, vegetation cover on land, and deep ocean circulation--that lead to additional global warming, Ravelo said. "The implication is that these slow components of the Earth system, once they have time to change and equilibrate, may amplify the effects of small changes in the greenhouse gas composition of the atmosphere," she said. The researchers used sediment cores drilled from the seafloor at six different locations around the world to reconstruct carbon dioxide levels over the past five million years. They found that during the early and middle Pliocene (3 to 5 million years ago), when average global temperatures were at least 2 to 3 degrees Celsius warmer than today, the concentration of carbon dioxide in the atmosphere was similar to today's levels, about 30 percent higher than preindustrial levels. "Since there is no indication that the future will behave differently than the past, we should expect a couple of degrees of continued warming even if we held carbon dioxide concentrations at the current level," said lead author Mark Pagani, an associate professor of geology and geophysics at Yale University. In addition to Pagani and Ravelo, the coauthors of the paper include Yale postdoctoral researcher Zhonghui Liu and UCSC graduate student Jonathan LaRiviere. The study used samples supplied by the Integrated Ocean Drilling Program and was funded by the National Science Foundation and supported by the Yale Climate and Energy Institute.